Slab is founded by engineers — so one of the first integrations we built and use religiously is GitHub. Sync READMEs and .md files to Slab and organize and search them alongside your other documentation. 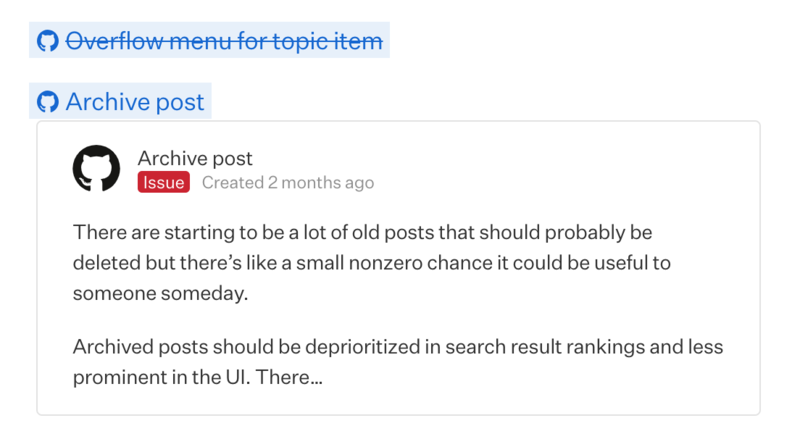 Mention GitHub Issues and Pull Requests and view context such as open status, assignee etc in directly in Slab. Import GitHub wiki into Slab. In the GitHub row, clicking on Integrate will take you through the OAuth flow to connect your GitHub account. Engineering teams often store Getting Started and troubleshooting guides in GitHub as markdown files or READMEs. However, this leads to silos between your GitHub content and the rest of your documentation. With Slab you can mirror READMEs and .md files from GitHub, and organize and search them in the same way you would a document. When you try to edit it, we'll kick you back to GitHub so you can keep your version control on those mission critical docs. Tip: You can even import READMEs from multiple different repositories. 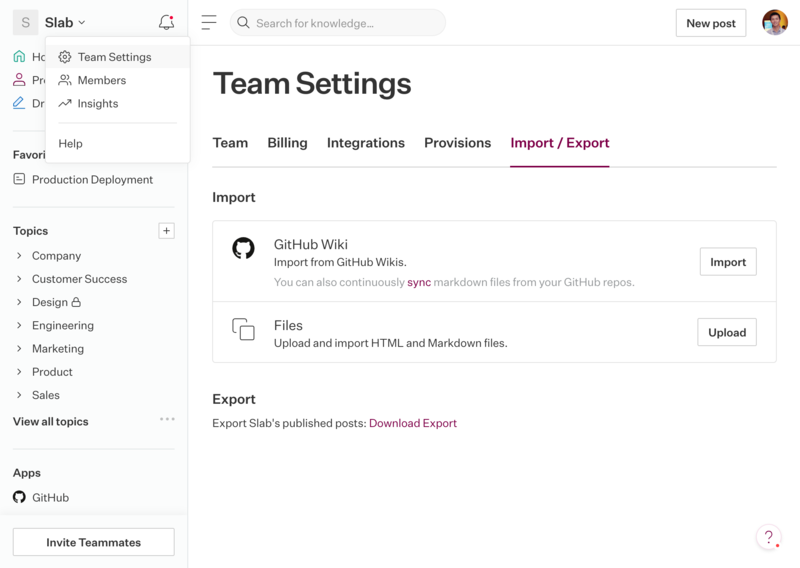 We make it easy to import your GitHub wiki and markdown files with a click. 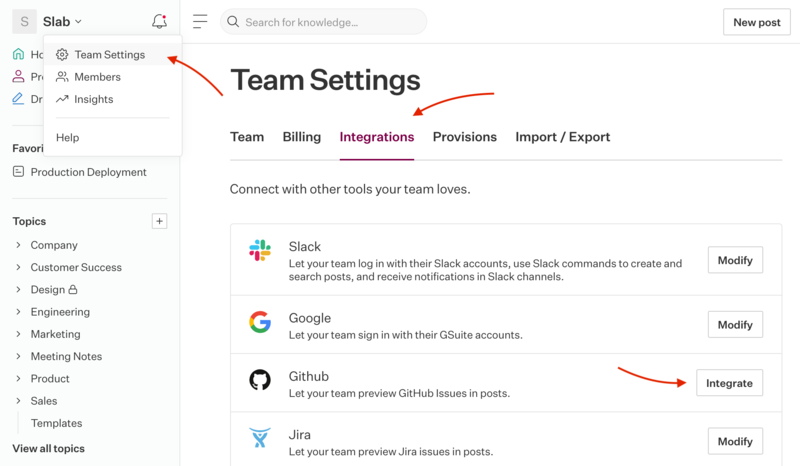 In the top left dropdown, click Manage Team and then Import. Note: You need to be a team admin to do this. Paste in a link to an issue or a Pull Request and we'll magically unfurl it, showing you the status and assignee. Hovering over it will open more details.